PyMQI is a production-ready Python extension for IBM’s messaging & queuing middleware, IBM MQ (formerly know as WebSphere MQ and MQSeries). This allows Python programs to make calls to connect to queue managers, send messages to, get messages off queues and issue administrative calls, e.g. to create channels or change queues definitions. PyMQI has been used in production environments for 10+ years on Linux, Windows, Solaris and AIX with queue managers running on Linux, Windows, Solarix, AIX, HP-UX and z/OS mainframe. Supported WebSphere MQ versions are 5.x, 6.x, 7.x, 8.x and 9.x. PyMQI is released under a MIT-like Python license. It’s free to use in open-source and proprietary applications. As a prerequisite, you first need to install an IBM MQ client in the system that PyMQI is about to be installed - it is a free library offered by IBM on top of which higher-level ones, such as PyMQI, can connect to queue managers. IBM MQ clients can be downloaded from IBM’s website. PyMQI is a relatively low-level library that requires one to know IBM APIs fairly well. 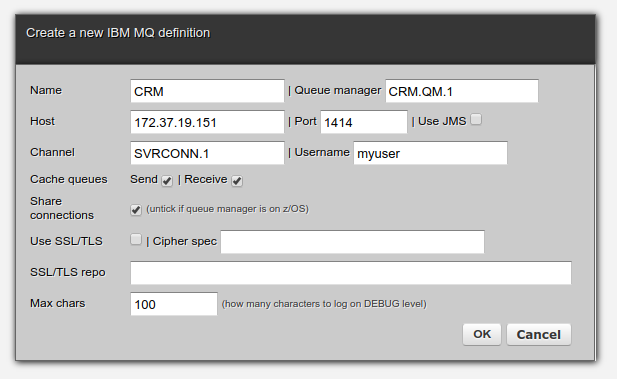 This includes IBM MQ queue managers along with ability to seamlessly integrate with Java JMS systems. Read these blog <https://zato.io/blog/posts/python-ibm-mq-part-1.html?pymqi-gh2> posts https://zato.io/blog/posts/websphere-mq-python-zato.html?pymqi-gh2> for an introduction and visit Zato documentation <https://zato.io/docs?pymqi-gh03> for more information. © Copyright Zato Source s.r.o.. Created using Sphinx 1.7.5.